The British voice recognition company SpinVox has been sold to an American rival for the princely sum of £64 million, following a year of PR disasters for the once-feted British tech company. 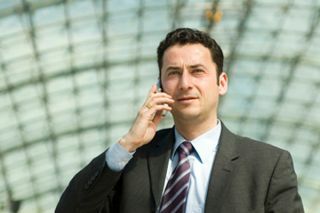 SpinVox converts its customers' voicemails into text messages that they can read. The company came under fire earlier in 2009 when it was revealed that there was considerably more human input into the voice-to-text service than it had made clear to journalists in demonstrations of the technology. The company has been bought out by US firm Nuance, which makes a voice recognition program called Dragon NaturallySpeaking. "Around the world, the voice-to-text market has experienced tremendous growth over the last year," said Nuance vice president John Pollard. "With SpinVox's robust infrastructure, language support and operational experience, we will broaden the reach and capabilities of our platform." SpinVox had at one time valued itself at £500 million, so the deal is essentially a massive loss for the company. Shares in the Massachusetts-based Nuance were down around 1%, following the news.